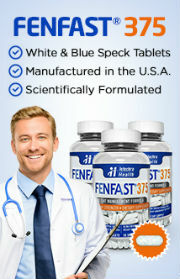 Lipitrex diet pills are a non-prescription fat burner. Created by Progressive Health Nutraceuticals, this weight loss product supposedly helps an individual lose weight in four primary ways. The ingredients in Lipitrex diet pills that are responsible for this unique fat loss approach include: Chromium Polynicotinate, Coleus Forskohlii, Magnesium Oxide, CLA, Green Tea Extract, Guarana Extract, Citrus Aurantium Extract, PinnoThin and Caffeine. However, while some of these substances may help a person reduce their weight, some of them may also cause potential health problems and may not be suitable for certain individuals. For instance, CLA (conjugated linoleic acid) can decrease the amount of cortisol in the body, specifically targeting belly fat. Although this is highly appealing, because fat in the stomach area is one of the last the body burns during exercise, it is possible that CLA may also alter the body’s ability to intake insulin, which could put an individual at a higher risk of developing diabetes. What’s more, Lipitrex diet pills contain caffeine, which is a stimulant that can have a negative effect on some people, causing them to feel jittery or can even lead to improper rest if the supplement is taken too close to bed time. Therefore, while none of the ingredients used in the formula are illegal, there has not been enough research conducted on some of the substances nor the weight loss supplement as a whole on human subjects, to back up its claims or to determine its overall effectiveness. 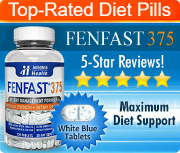 Nevertheless, According to the information regarding this weight control pill, users should take four capsules daily (two capsules in the morning and the evening) and should except to see results within 45 – 60 days when following proper directions. The official website for Lipitrex does provide testimonials from users of their diet pills, as well as product information and a 180 day return policy. 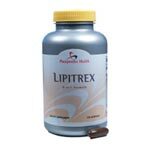 Despite some of the potential advantages of Lipitrex diet pills there is no solid evidence that this diet supplement will provide users with any weight reduction success. Moreover, due to the lack of testing and studying that has been conducted on Lipitrex and its ingredients, it is not entirely clear how safe this product is. Thus, even though you do not require a doctor’s prescription to obtain these pills, if you are thinking about taking them to help you lose your excess fat, be sure to speak with your doctor first.